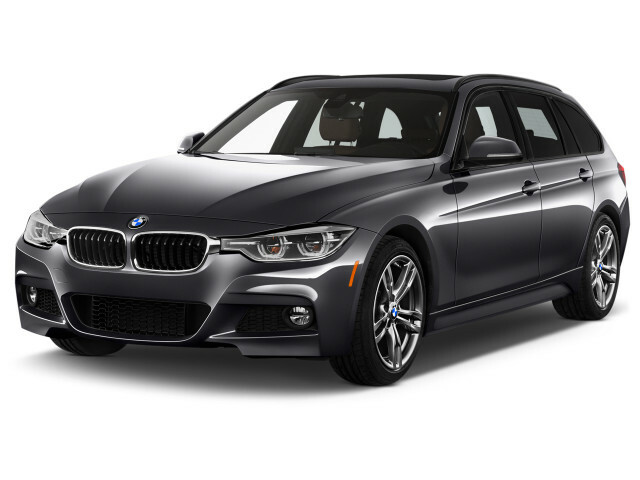 The BMW 3-Series is a compact luxury sedan that's been part of the automaker's lineup for more than 30 years. Many fans of BMW consider the 3-Series to be the core of the brand—a driver-centric sedan that offers space for four, but can come alive on winding roads when commutes turn interesting. It's the lineal successor to what made the brand famous: the BMW 2002. Over the years the 3-Series has been offered in many body styles ranging from coupe to convertible to hatchback to wagon. The current BMW 3-Series, the 330i, arrived in the 2019 model year as a sedan, while older wagon and hatchback models carried over for a year along with the M3. The 3-Series—with its sterling reputation—takes on vehicles such as the Audi A4, Mercedes-Benz C-Class, and Lexus IS. With the 2019 330i and 330xi, BMW has launched the latest "G20" generation of 3-Series, while it plans a slew of vehicles that will join the family in years to come: An M340i and M340xi, a new M3, and a plug-in hybrid 330e. The latest 3-Series sports a more dramatic face, one with a more chin prominent, slimmer headlights, and a grille that reaches back further into the hood. 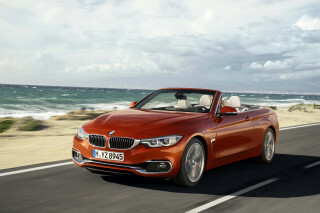 It still sports classic 3-Series sport-sedan proportions, and the usual upturned kink at the rear roof pillar. Inside the cabin adopts some of the visual cues of the i8, with a wave of ambient lighting that wraps around the cabin and unites a pair of digital displays that cap a tech-heavy update. 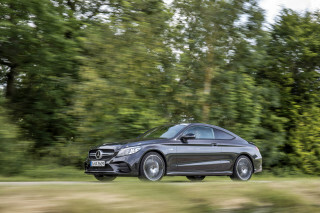 A 2.0-liter turbo-4 powers the new 3er with 255 horsepower through an 8-speed automatic. The manual transmission is gone, but the 3-Series still can be had with either rear- or all-wheel drive. 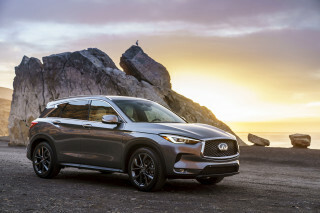 The front strut and rear multilink suspension can be fitted with adaptive dampers and with a limited-slip differential, as well as an M Sport suspension that offers big summer tires and lots of grip. The 3-Series interior is mostly unchanged, with somewhat less head room but with standard, grippy sport seats. The rear seat can seat two adults comfortably or hold two child seats; the trunk offers 17 cubic feet of space. All 2019 BMW 3-Series cars get standard automatic emergency braking, Bluetooth with audio streaming, power features, and run-flat tires. The latest 3-Series family arrived in 2012. The sixth generation carried the internal designation of F30, and it wore a low-shouldered stance, a new body structure, and a new turbo-4 in its 328i versions. That model made 240 hp and 260 lb-ft of torque, and turns in better acceleration than the previous year's inline-6. EPA highway ratings were as high as 34 mpg thanks to a new 8-speed automatic. A 300-hp, 3.0-liter inline-6 was offered in the BMW 335i. Otherwise many top-notch tech features like blind-spot monitors, a head-up display, and a parking assistant trickled down from the 5-Series to the car, sometimes called a "3er." Space in this 3-Series was adequate for four adults, although a fifth could be squeezed if needed. A new set of M Performance Parts for the 3-Series was announced in late 2012, and for 2013, BMW added an M Sport package with an M-fettled suspension, special 18-inch M wheels, an M steering wheel, Aluminum Hexagon interior trim, and other upgrades. The BMW ActiveHybrid 3 was new for 2013. Additionally, BMW introduced a new 320i sedan that year, which offers a detuned version of the 328's turbo-4 making 180 hp and 200 lb-ft; the least-powerful 3 was able to get to 60 mph in 7.1 seconds. The new-generation 3-Series Sports Wagon also returned to the U.S. market in early 2013, offered as the 240-hp 328i or the 181-hp diesel 328d Sports Wagon. Both came with xDrive all-wheel drive and the automatic transmission as standard equipment, but they remained available with the M Sport package for those looking for a sportier sports wagon. The wagon included a power tailgate, a separate flip-up rear window, and a Comfort Access opener that allowed you to use a wave of your foot to activate the tailgate. Another new model joined the 3-Series range in late 2013 as a 2014 model: the 2014 BMW 3-Series Gran Turismo. Available in both 328i and 335i forms, the 3-Series GT was longer, taller, and roomier than the sedan. Beginning in the 2014 model year, coupe and convertible models were carved away and placed under the 4-Series badge along with a new 4-Series Gran Coupe. 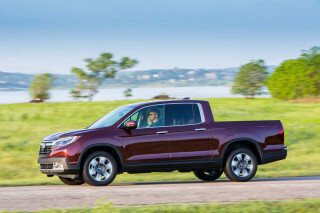 Then the 2015 model year brought only minor feature changes otherwise, with some new trim materials and Bluetooth audio streaming added to the entire model line. BMW added a plug-in hybrid version of the 3-Series, called the 330e, for this generation. 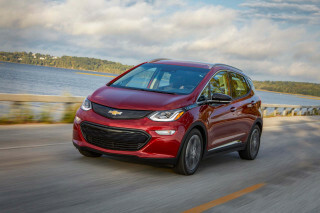 Dubbed eDrive, the system paired a turbocharged 4-cylinder with an 8-speed automatic with an integrated electric motor. Power was sent to the rear wheels to keep the feeling of a standard 3er. The eDrive 3-Series arrived for the 2016 model year, and the powertrain was offered on the X5 sport utility as well. A handful of changes were made to the 2016 3-Series. The car received a light visual refresh, with new bumpers and lighting elements at both ends; LED headlights were an option. The Sport appearance package became standard equipment on all models save for the base 320i. BMW retuned the chassis for better responses, and the 335i and its N55 turbo-6 were replaced by a B58 engine making 320 hp and badged as the 340i. For 2017, the most notable change to the 3-Series was under hood. The 328i was replaced with a newer, more potent turbo-4 that produced 248 hp and badged as the 330i. An updated infotainment system was available that included Apple CarPlay and navigation. The car was largely unchanged for 2018. The first-generation 3-Series, the E21, was launched in 1975. It served as the replacement for the 2002 and was originally only available as a two-door and with 6-cylinder engines. The E21 3er was launched in the U.S. for 1977, the same year the first straight-6-powered models came online. The E21 was replaced by the E30 3-Series in 1982. This second-generation model initially came in a two- or four-door sedan body style with both 4- and 6-cylinder engines. This model was also available as a wagon, which was introduced in 1987 but didn't come to the States, and as a convertible, which did make it to the U.S. Another highlight of the E30 BMW 3-Series was the addition of the vaunted M3 in 1988, which came packing a 192-horsepower 4-cylinder engine and many other unique, motorsports-influenced pieces. The E36 chassis code was applied to the third-generation BMW 3-Series, which arrived in the U.S. in 1991. Its appearance was similar to the E30's, but it was slightly larger and the design more angular. The E36 brought with it a new hatchback model, sold here as the 318ti. The E36 M3 used a straight-6 engine. The follow-up was the E46 3-Series, which came for the 1999 model year and was very successful, selling a total of 561,249 copies worldwide in just the 2002 model year. The fifth-generation E90 BMW 3-Series came onto the market in the 2006 model year and was face-lifted in the 2009 model year. It was based on a completely different platform to the outgoing E46, including changes to engines, transmission, the passenger compartment, and suspension technology, as well as the addition of a host of high-tech features and options. Coupe and Convertible models were launched in the 2007 model year and were updated for the 2011 model year. The E90 BMW 3-Series also saw the M3 model pick up a new V-8 engine. Other engine options available in the U.S. included a pair of 6-cylinder gasoline units as well as a turbodiesel (in the 335d sedan). Both rear-wheel- and all-wheel-drive configurations were offered. Quite a bit of power for an electric, tested the Fusion and it wasn't even close. I can go 2 days using a charge and my last fill-up I was at over 500 miles and still had a quarter of a tank. Very smooth ride... Quite a bit of power for an electric, tested the Fusion and it wasn't even close. I can go 2 days using a charge and my last fill-up I was at over 500 miles and still had a quarter of a tank. Very smooth ride. Love the sound system.